Join corporations, foundations, and organizations that share in our work to end hunger among homebound seniors in Tampa. Through significant financial support and volunteerism, our strategic community and faith partners support our programs, enable our growth, and allow us to fulfill our mission of nourishing, enriching, and strengthening the independent lives of seniors and homebound in Tampa. Our Adopt-A-Route (AAR) Partners help us by committing to delivering meals weekly or bi-weekly. The AAR program provides an excellent way for companies, civic and faith-based organizations to engage in community service. 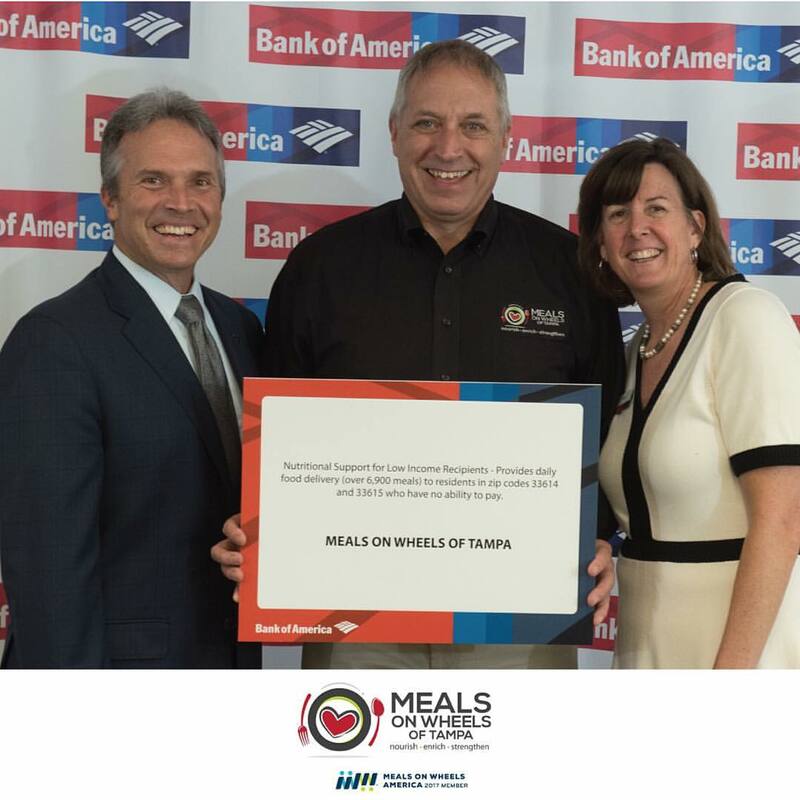 Through a partnership with Meals On Wheels of Tampa, groups offer their employees or member volunteers time to deliver mid-day meals. Through a great partnership with the faith-based community, we opened our doors 40 years ago to begin serving the homebound. The faith community supports us in many ways—as meal pick-up sites for volunteers, Adopt-A-Route volunteers, recipient outreach and program sponsorship. We also ask our faith partners to help us identify those people in need of our service and to join us in volunteering to strengthen our community. To learn more about becoming a faith partner, please call (813) 238-8410. Our media partners support us by helping raise awareness by sharing our mission and stories with the community. We also ask our media partners to help educate, inform and support staff and committee members of best communication/marketing practices. To learn more about becoming a media partner, please call (813) 238-8410. Click here to see the 2018 sponsors.